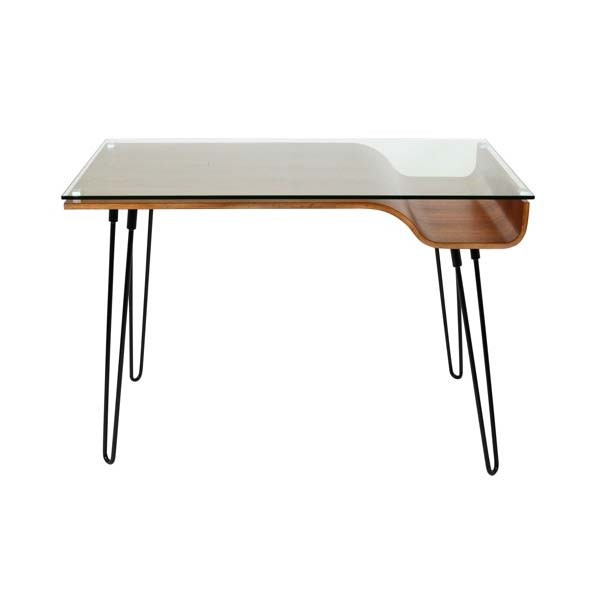 More on the LumiSource Avery Desk with Glass Top (Walnut) OFD-AVERY WL below. 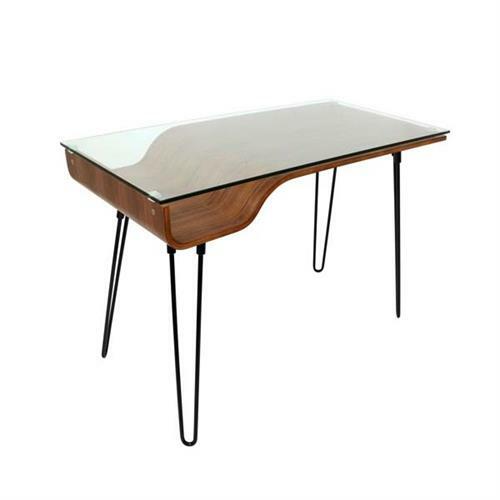 Looking sharp, the Avery Desk's smooth, bent-wood curves are a showstopper from any angle. 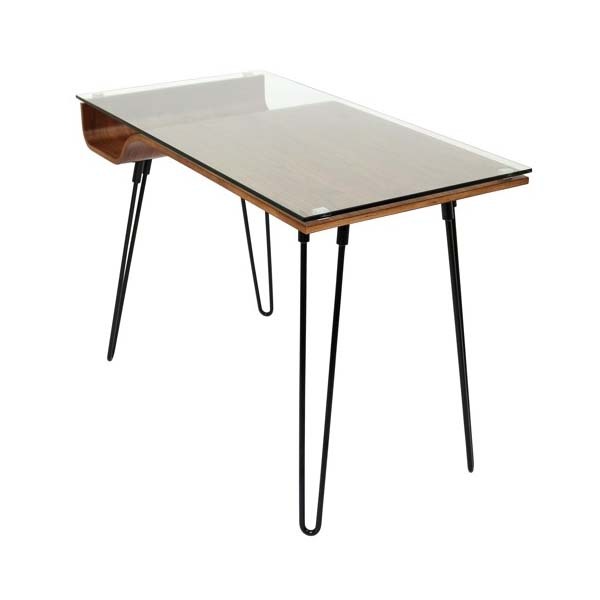 This stylish, retro piece will set your office setting apart in the most novel way. 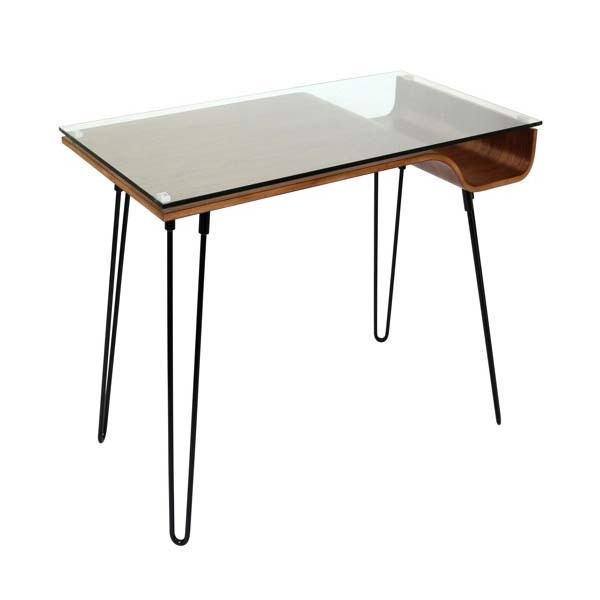 Featuring black hairpin legs and a walnut finish this desk is great for small spaces, even has book nook! 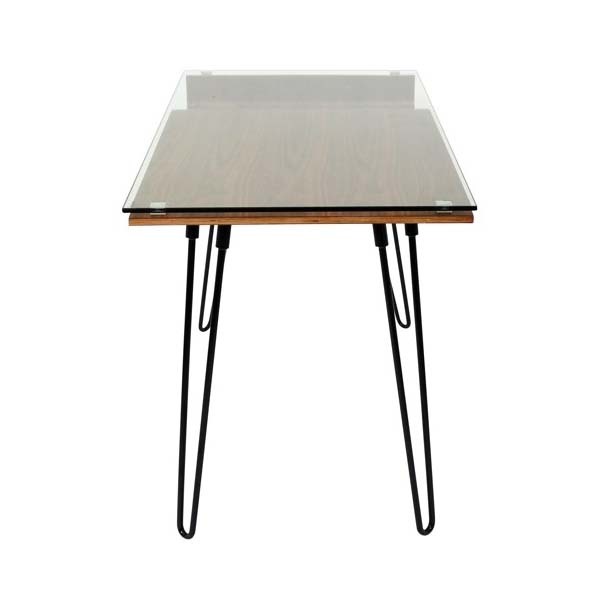 Set atop a sleek, bent-wood is clear tempered glass, perfect for admiring the richness of wood. 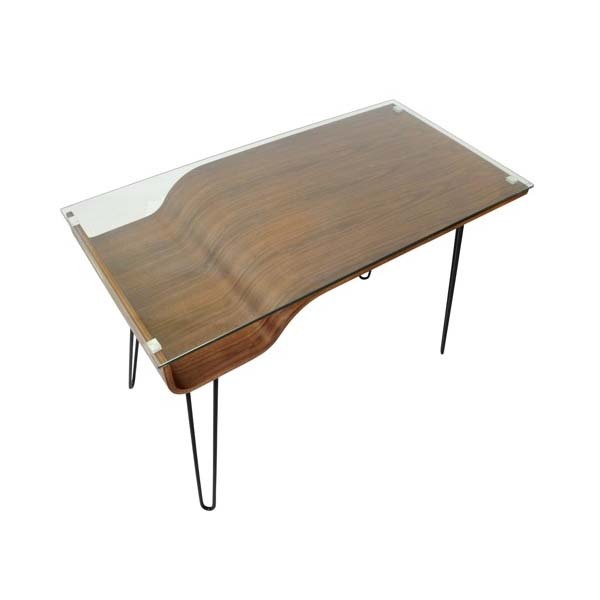 Bent wood in walnut finish.